Chiseled distressing, a thick breadboard top and a rustic finish over rich mango veneers lend the Tamonie chairside end table an earthy, farmhouse feel. 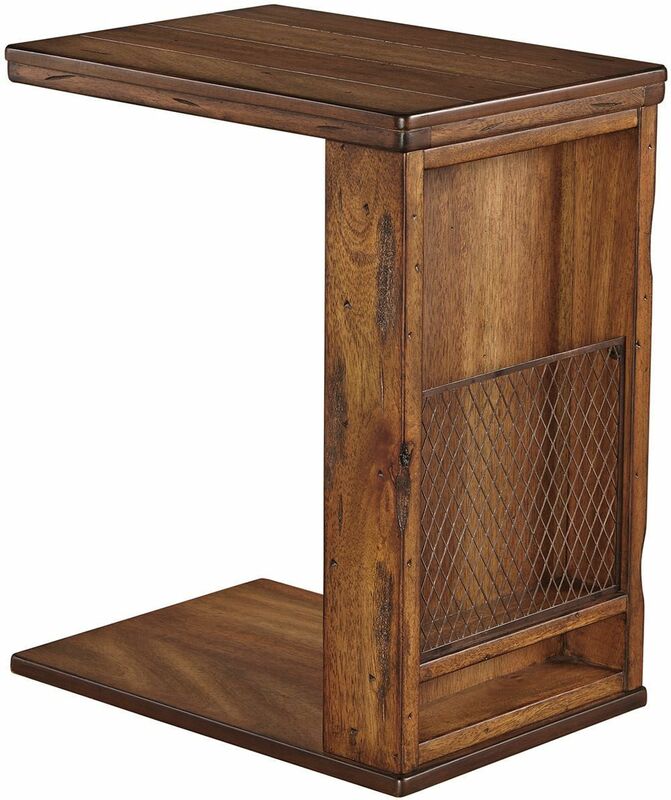 Metal mesh grill provides a handy spot to tuck away everything from tablets to crossword puzzles. Clever cantilever design allows you to slide the tabletop right over your sofa seat for a convenient flat surface. 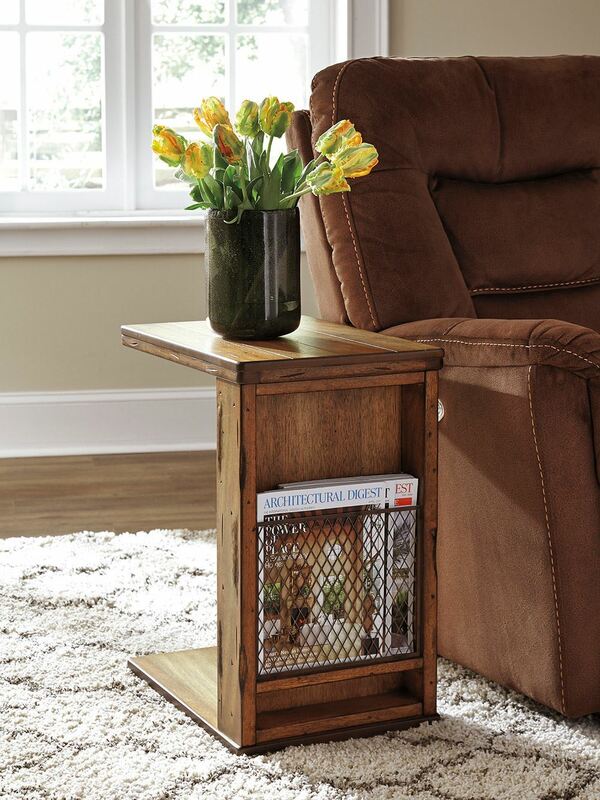 Chiseled distressing, a thick breadboard top and a rustic finish over rich mango veneers lend the Tamonie chairside end table an earthy, farmhouse feel.